How long does your process take and how does it work? We’re thorough and fast and we make everything easy. We’ll have a brief phone call with you to answer any questions and set up an appointment to look at your installation needs. For residential installation the appointment at your home usually takes about 1/2 an hour, and within 24 hours we’ll generally send you your free quote. If it’s a complex installation (such as multi-chargers in a commercial setting) this process may take longer as it will generally involve coordination with various people and departments, but we do everything to provide fast and reliable service that will deliver for you now and in the future. Home installation will typically take a few hours, and following installation the meeting with the inspector(s) will generally take about 1/2 an hour or less during the 3-hour window typically given by inspectors for the inspection. Commercial installation will generally require more time. Contact us today to get any additional questions answered and to get an EV charger for your home or office. I think my job is very small, are you still interested? Yes. We install EV chargers and plant trees because we care deeply about our planet and the environment. We’ve heard from customers that before talking to us they had a hard time getting an electrician to install their EV charger because the job was too small. We don’t operate this way! We love our customers, word of mouth about our great service is important to us and a small job done for a satisfied customer may well lead to a referral. No job is too big or too small and we look forward to working with you. Can I buy my charger from you and have someone else install it? Yes! We offer the latest EV chargers. We provide the best installation at the lowest price and offer options for extra warrantees, and numerous other benefits, such as complimentary membership in the EV Safe Charge Electric Vehicle Motoring Club, and it’s free to get a quote from us, so we hope you’ll select us, but you can have whoever you like do the installation for you. We offer the best service and a 3-year installation warranty at a fair price, and we feature electric vehicle chargers from thje top manufacturers. We work with all size jobs. We plant a tree for each EV charger we install. We provide a complimentary membership the our fun EV Owners Motoring Club featuring exclusive events. We take great pride in our work. And finally we are EV charging experts and will help you get the right charger for your needs. Additionally since our business is EV chargers we are able to offer truly competitive pricing, and all work is done by licensed electricians trained to properly install electric vehicle charging stations. Can I buy a charger from you right now? Yes! You can buy an EV charger right now from us, simply Contact us today. Can I have you install a charger I buy from someone else? Yes! We install all chargers in residential and commercial settings. We provide the best installation at the lowest price, and numerous other benefits, and it’s free to get a quote from us, so we hope you’ll select us to install your EV charger. I hear you have great events for EV owners. 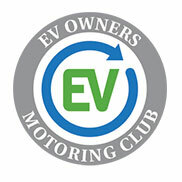 Do I have to be a customer of EV Safe Charge to be a member of the EV Safe Charge Electric Vehicle Motoring Club? No! Membership is complimentary for clients but if you own or are interested in an electric vehicle, you can apply to join the club. Dues are $100 per year. Club membership is by invitation only, contact us to apply, and we have strict guidelines as we want events to be enjoyable for all members, such as not soliciting other members for anything at events, and membership may be revoked at any time. Should I install a separate Time Of Use (TOU) meter? There are a few options for TOU meters. You can install a TOU meter dedicated to your electric car charging only, or a whole-house TOU meter. Your local utility will provide lower electricity costs during off-peak hours (generally during nightime and weekends) but higher rates during peak hours. So it’s about figuring out what’s best for you, if you’re home a lot during the day and use your AC a lot for example a whole home TOU meter may not be the best choice for you. A separate car-only TOU meter is usually a great idea, however the installation costs will generally be higher. So although your local utility will discount the off-peak rates you will need to balance this with the installation cost. We will help you examine at your options and help you figure out what’s best for you. What are the advantages of driving an electric vehicle? There are numerous advantages, from helping to make the environment better to saving you money and the actual ride in an electric car is thrilling, acceleration is awesome, there are usually many high-tech gadgets and connectivity, it’s just a great experience. Are there public stations where I can charge my electric vehicle? Yes, public charging stations are located in mall parking lots, city garages and many other locations across the country. Some public charging stations are free and others require a fee or a membership. More are being installed all the time but having a home charging station is still a must have for electric vehicle owners. EVSE stands for Electric Vehicle Service Equipment, also informally called a charging station. They use a 240-volt outlet. All come with the same “J connector” that allow almost all plug-in vehicles to connect to any charging station. What are the different types of plug-in electric vehicles? What is the difference between BEVs and PHEVs? BEVs (Battery Electric Vehicles) run entirely on electricity stored in batteries and are recharged by plugging in at home, work or a public location. Full function BEVs are freeway capable with an operating range of 60+ miles, and generally take 6-8 hours to recharge at 220-volt power. PHEVs (Plug-in Hybrid Electric Vehicles) run on a combination of electricity and gasoline, and have the ability to be plugged in for a charge. Their all-electric range varies by model, but generally is about 10-40 miles before the vehicle begins to operate like a regular hybrid. PHEVs are attractive because they are capable of all-electric short distance trips as well as long distance driving in regular hybrid mode. What are the available electric vehicle charging levels? Level 2 – Fast, or “quick” charging – Residential and commercial – 240 volts AC – Typically will take 1-3 Hours for PHEVs and 4-8 Hours for BEVs. Requires a charging station. Electrician will determine if upgrades or modifications to the property’s main electric panel or circuits are required. Level 3 DC – Very fast charging – Commercial – 480 volts DC (Converts 3-phase AC to DC) or higher –Typically will take 5-20 minutes (80% charge) for PHEVs and 10-30 minutes (80% charge) for BEVs. Requires more complex installation and electrical infrastructure upgrades. Do all electric vehicles have a common plug? The Society of Automotive Engineers has established a uniform “connector” standard (J1772) for Level 1 and Level 2 charging. Most electric cars currently on the market or due to launch over the next several years comply with this standard. DC fast charging connectors are available in several standards and will vary depending on the make and model you choose. Will switching to an electric car save me money? Yes, compared to gasoline, electricity is more cost effective. How much money you can save depends on the electricity rates offered by your local utility. In North America, the average electricity cost is 12 cents per kilowatt hour. Compared to gasoline, 60 cents of electricity can take you as far as a single gallon of gasoline, which recently cost upwards of $4. It is possible to save even more if you charge at night, or during off-peak hours. Battery-powered cars also have lower maintenance costs because there are fewer moving parts to service and repair. Why should I drive electric? A Plug-in electric vehicle (PEV) delivers all the features and safety of a regular gasoline car with many additional benefits. With lower fuel costs (electricity vs. gasoline) and lower maintenance costs, PEVs cost less to own over their lifetimes than comparable gasoline vehicles. Also, PEV drivers get high performance, smooth acceleration, great torque and quiet comfort from their vehicles. With a PEV, your fueling station is as close as the nearest electrical outlet and for fast charging as close as the many public charging stations now available nationwide and/or the charging station at your home and/or office. And, you get numerous other benefits well including preferential parking, access to HOV lanes, purchase incentives, and the admiration from other motorists, and how satisfying is it to know that your PEV is significantly reducing greenhouse gas emissions and cutting down on air pollution? Pretty satisfying indeed! Gas prices seem to have gone down recently, does it make sense to drive electric? Yes! And for many reasons! Many feel oil companies have reduced the cost of gas to discourage people from purchasing electric cars as electric cars are taking off much faster (no pun intended) than predicted. But remember how gas prices were so high? How everyone was forced to pay whatever oil companies wanted to charge as they made billions? Before electric cars came along everyone was at the mercy of whatever oil companies wanted to charge for gas. Did you feel like you were being taken advantage of (we worded that nicely)? We’ll now you can make the switch (again, no pun intended) to electric and never fill up on gas again! Oh what an exhilarating feeling! By the way, high gas prices could happen again (and if history teaches us anything they probably will) if people don’t keep buying electric cars, and environmentally, electric cars are so much better for the environment with zero emissions… Of course it takes energy to produce electricity for electric cars but it is much more efficient to make electricity for cars and much better for the environment than using gas. Aren’t there just a few electric car models available? And don’t they look weird and drive differently? No! There are numerous amazing models available today and more coming all the time! They are beautiful cars and are really fun to drive! From sports cars to compacts to crossovers, there’s a car for practically everyone. Is there anything different about driving electric? Yes! And it’s all good! Electric cars are really quiet, and at the same time, are capable of exhilarating acceleration and rapid braking, and the braking recharges the car! In addition, with a battery electric vehicle, there are no more trips to the gas station because you can charge at home, work, or in a public charging station. Plug-in electric vehicles are extremely efficient and are usually loaded with all fun high tech gadgetry. Most plug-in electric vehicles have a display screen which gives the driver tons of useful information. They are also equipped with regenerative deceleration, which captures kinetic energy during deceleration to recharge the battery while driving. It depends upon your choice of Plugin Electric Vehicle (PEV) and your driving style. Pure battery electric vehicles can generally go 60 – 120 miles on a full charge, which is plenty of range for most people (the average Californian travels less than 30 miles a day.) If more range flexibility is needed, however, a plug-in hybrid might be a better fit. They can generally run on battery alone for 10 – 40 miles, and then continue up to 400 miles as a gasoline-electric hybrid which you can refill at any gas station. Fuel cell (hydrogen) VS electric? Hydrogen takes more energy to produce than electricity so as far as the environment is concerned electric cars are the way to go. Plus the infrastructure for electric is in place, and adding the final component, the home or office or public charger, is much less expensive than adding hydrogen infrastructure to deliver/fill up fuel cell vehicles nationwide, so again, electric is the way to go. And finally, new battery technology already looks to be on it’s way to making the fuel cell obsolete, so electric wins again. Go electric! What is the history of the electric vehicle? The history of the electric vehicle began in the mid-19th century. An electrical vehicle held the vehicular land speed record until around 1900. The high cost, low top speed and short range of electric vehicles, compared to later internal combustion vehicles, led to a worldwide decline in their use. At the beginning of the 21st Century, interest in electrical and other alternative fuel vehicles has increased due to growing concern over the problems associated with hydrocarbon fueled vehicles, including damage to the environment caused by their emissions, and the sustainability of the current hydrocarbon-based transportation infrastructure. Read more about the history of electric vehicles on Wikipedia. 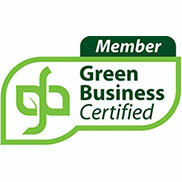 I care about the environment, are you a green business? 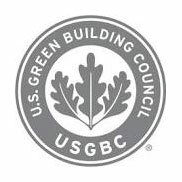 Yes, we care deeply about our planet and the environment, plant a tree for each charger we install and are certified by the Green Business Bureau. Why choose EV Safe Charge as a consultant for our EVSE installation? EV Safe Charge has an unparalleled team of sustainability experts and charging gurus to craft the perfect solution for your business. No matter how complicated your EV charging installation is, we can help. What kind of problems might I encounter that you could help me with? As more and more municipalities are requiring EV charging the regulations that surround these installations are changing rapidly. Whether it’s finding out whether your installation qualifies for a rebate or incentive to navigating complex ADA related issues there are any number of hurdles that can come up during an installation at a commercial site. Rest assured that once we partner with you we take on every challenge and see it through to the end. What kind of scale can you provide with your mobile solution? We scale our solutions to fit your use and needs. Rest assured that EV Charge Mobile can provide the infrastructure to support your event whether it’s one, five, or even ten DC fast chargers or a dozen or more level 2s. We will work with you to provide the right solution. Isn’t it counterproductive to power your mobile solution off of a generator? When we’re able we tap into existing power or utilize a solar solution we do, however some locations simply have zero infrastructure to support EV charging. 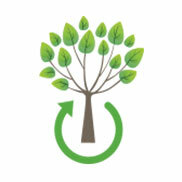 We understand the concerns of our clients and share these, that’s why we try for renewable energy first and offset any carbon from the rental by planting trees with the Arbor Day Foundation. Overall, we feel that the benefit of providing mobile EV charging solutions for events and more is still better for the planet than not having these new EVs, being on the road and able to be driven and demonstrated.